My wife and I often face a problem of variety of breakfasts. If you are already tired of eggs in all their variants, cereals with milk and different sandwiches with jam, then maybe it’s time to learn to cook scones. 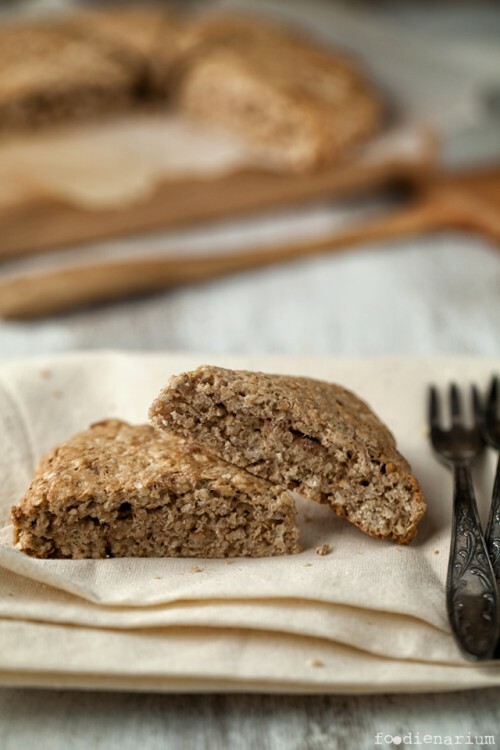 For example, oat scones to be discussed further can be one more dish that can energize you for the whole day. Preheat the oven to 220C (430F) degrees (no fan). Mix all kinds of flour, oatmeal and sugar. Add the baking powder, spices, salt and stir everything. Coarsely chop the nuts and add to the mixture. Next, melt the butter and let it cool. Whip the egg. Make a hollow in the flour mixture and pour there the egg, butter and milk. Stir everything thoroughly with a spoon. Make a circle of dough and put it on a baking sheet, the covered with baking paper. Divide the circle into 8 segments, and put it in the oven for 15 minutes. 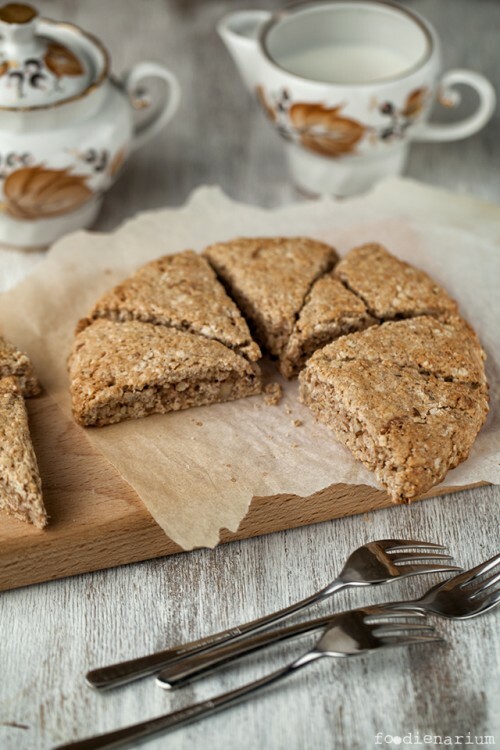 Let the scones cool on a wire cooling rack and serve with fresh brewed tea or coffee.